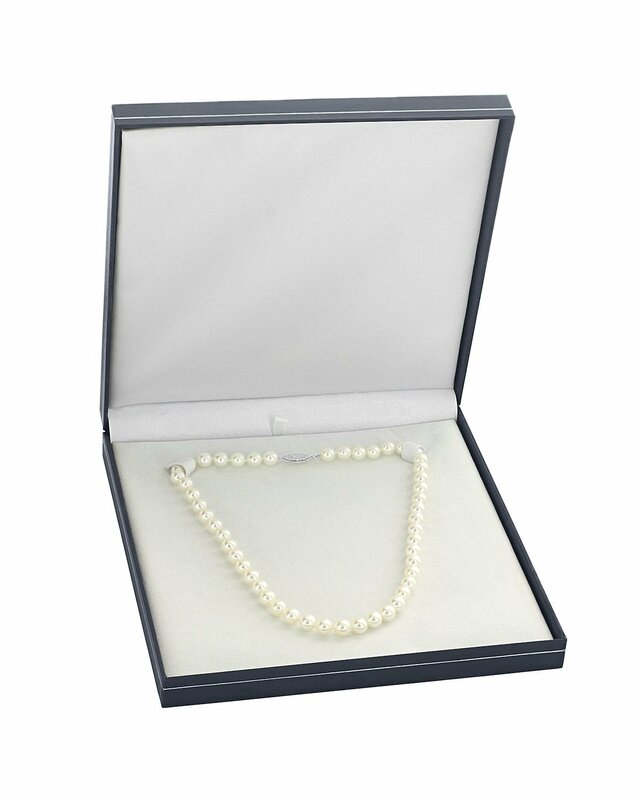 This beautiful Akoya pearl necklace ranges between 6.0-6.5mm in size and consists of all beautiful and lustrous pearls in AAA quality. 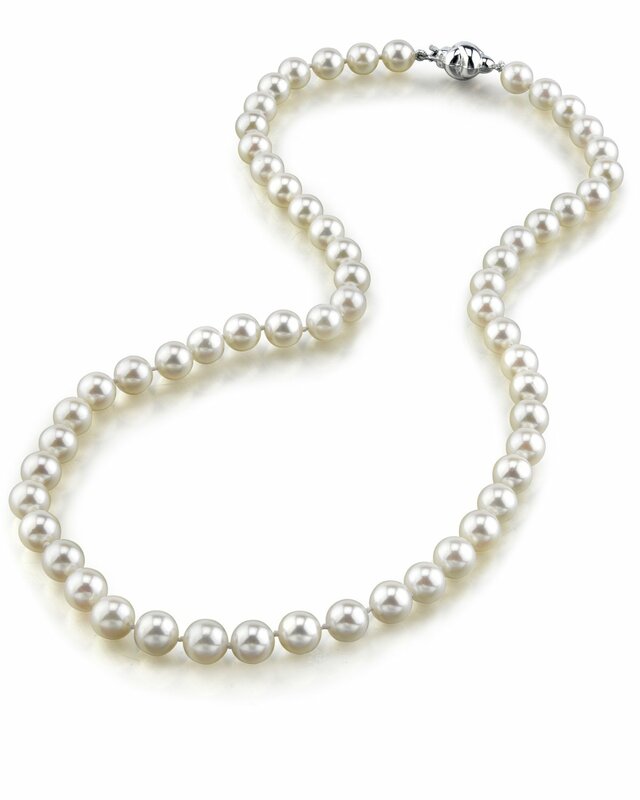 All pearls in this necklace are round and are strung with silk thread and double-knotted between each pearl. This necklace comes standard with a beautiful 14K gold clasp, though premium clasps can be selected for an additional cost. The pearls were lovely but I had to return them because the knot was loose by one of the pearls. 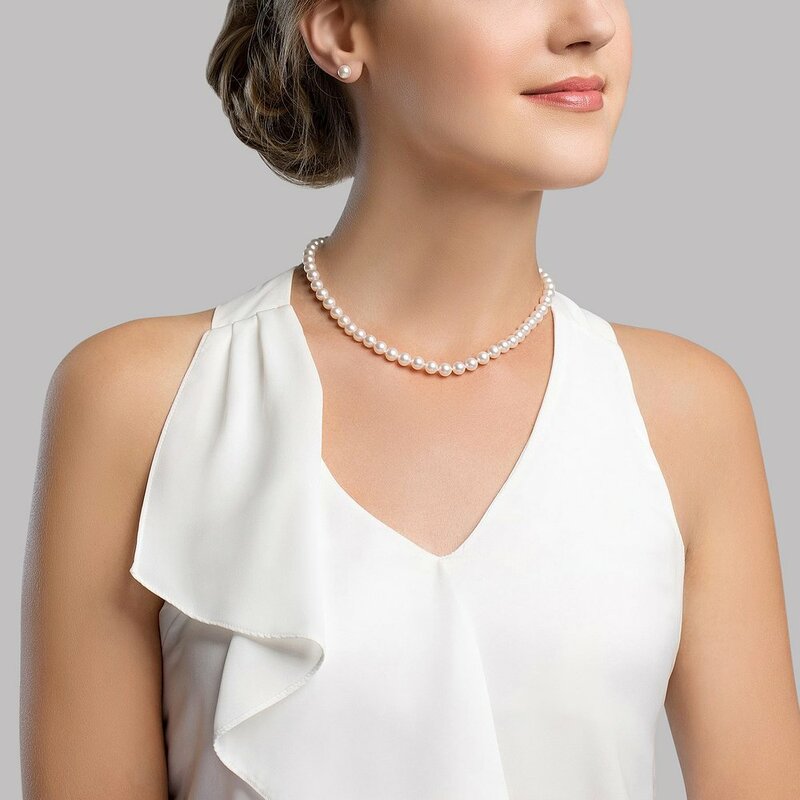 I will probably purchase from The Pearl Source again.